David Bohm was a quantum physicist, a contemporary of Einstein, whose work focused on his theory of Wholeness and the Implicate Order; believing that our reality and consciousness form a coherent whole. In his later life he developed a friendship with Indian philosopher, Krishnamurti, and during this time developed his theory of Dialogue; a form of group communication that has the potential to create new ways of thinking by sharing meaning together in a non-judgemental and free-flowing space. Bohm believed that one of the main causing factors of the challenges we face in the world is fragmentation: fragmentation of our societies, organisations and even ourselves. 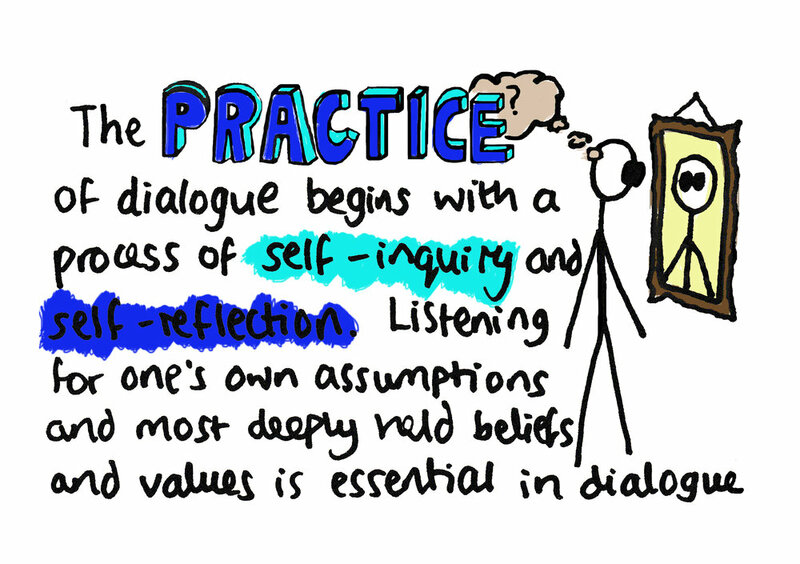 Dialogue in fact, starts with the self; ‘how successful am I at listening to and speaking with myself?’ Listening is the first principle and a leading value of dialogue. First we must set the intention to listen to others with respect and the intention to understand; secondly we must listen to ourselves, to the resistance, defenses and patterns of thought that occur within us when listening to other people; and thirdly we must listen to the group, for the shared meaning and collective themes that are unfolding as the dialogue flows. Non-judgement is the second principle of dialogue. It requires an openness and honesty that allows us to share our truths with the spirit of fellowship and trust. To listen from a point of non-judgement it is important that we accept that our opinions are assumptions, based on our previous experience. In a dialogue it is not necessary that everyone be of the same opinion, what is important is that we share our opinions and experiences and are able to suspend any judgements that may arise, long enough for the group to be able to inquire into them and create new knowledge from the sharing of meaning. Bohm was concerned with the thinking process and the awareness that allows us to notice what is happening from moment to moment. For many of us we rely on habitual patterns of ‘thoughts’ that rush into our minds when we are faced with familiar or challenging situations. In dialogue, if we are able to suspend and become aware of our thoughts and judgements, we will be able to create space for new ‘thinking’ to form. Discomfort can arise from this space as we have the time to reflect on why it is we think a certain way, the root causes of this thinking and how it may relate to our sense of self. To engage in dialogue therefore, requires both vulnerability and courage. A key value of dialogue is the principle of participation, a desire to work with the collective intelligence of the group. 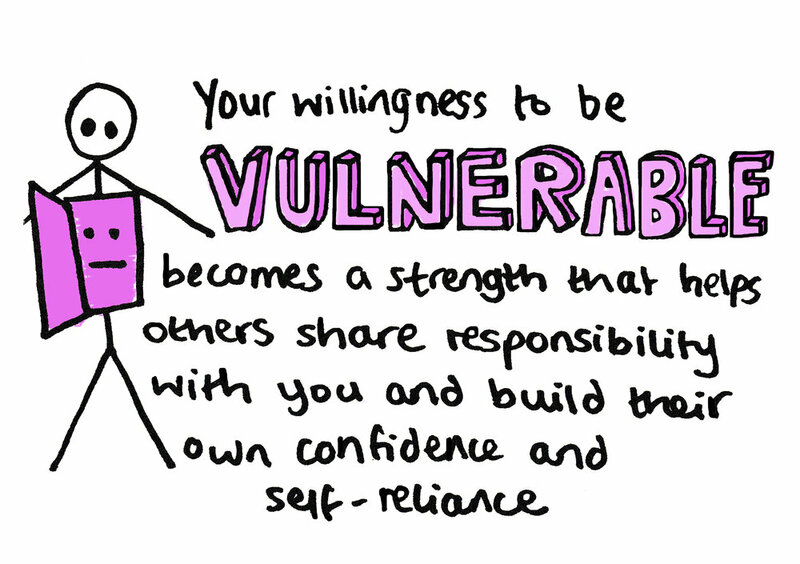 To be open to the energy of the group, that allows for individual freedom, coupled with shared responsibility. Through dialogue we are able to see complex inter-relationships and form new ways of thinking together about how the world works. 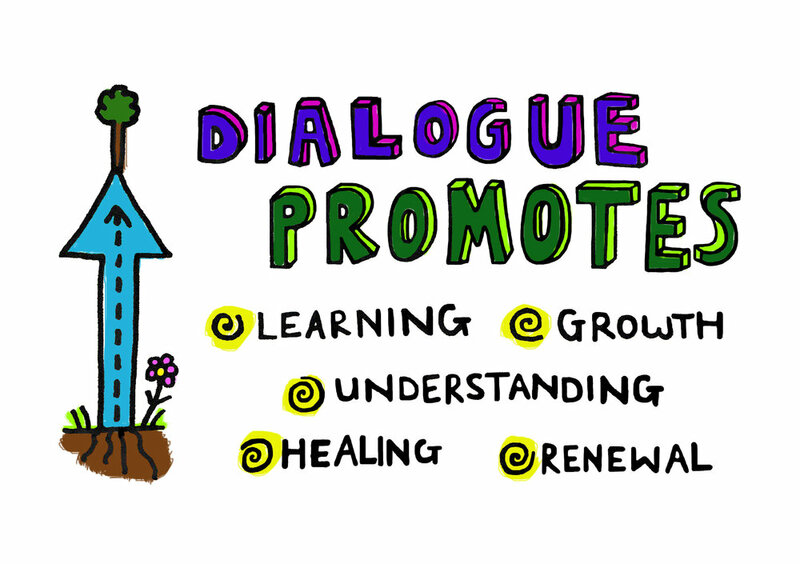 The guiding values for a successful dialogue can be felt and experienced as listening, trust, openness, respect, honesty, awareness, courage, vulnerability, participation, inclusion and creativity. However, we each bring our own leading values to a dialogue, which will inform how we participate, and may even shift within or after the dialogue as we open ourselves to new perspectives, possibilities and the experience of relating well to each other. For the ultimate goal of dialogue is creative motion, to recognise that we are dynamic free-flowing beings, interrelated and interdependent. This article originally appeared on the World Values Day website here.